Historic Homes & Properties - Mathews County Historical Society, Inc.
Sites and structures chosen for inclusion in the Historic Homes and Properties of Mathews County, Virginia series are those with pre-Civil War architectural and historical significance. The year the Civil War started, 1861, was chosen as the end date. 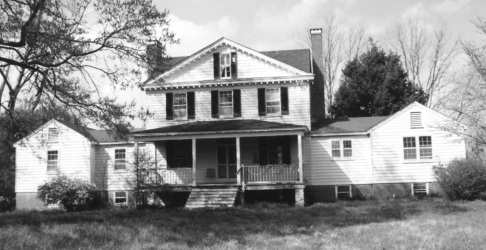 We consulted county land tax records, deeds, plats and wills, and records of the Virginia Department of Historic Resources (VDHR), pre-published material, and hard evidence presented in private documents to establish the construction dates. The county's old churches, post offices, schools, and the people associated with them--while vitally important to the growth and development of the community--can best be told in another publication focused solely on their development, and they are not included in the series. From the beginning of this project, historic accuracy has been our main goal. We consulted primary sources, making the work a compilation of facts from archives, land records, account books, family Bibles, and many other documents. Unfortunately, the deed records prior to 1865 were burned, and the plats in Land Book 1 in the county clerk's office only go back to 1817 and appear to be incomplete. We conducted a complete search of files on Mathews County structures at the VDHR, resulting in a reciprocal sharing of information. Critical analysis and secondary sources were also used to include as much information as might interest future researchers. Hand-in-hand with the goal of historic accuracy was the equally important goal of using family folklore and traditions. These remembrances, from the hearts and minds of county residents, remain an integral part of the history and lore of Mathews and offer compelling opportunities for reflection and further study. Whenever undocumented material is used, it is so noted in the text, generally by the phrase, "according to family tradition." Because of the number of properties and the research involved, the Society made the decision in 2008 to publish a series of booklets with 10 properties per booklet instead of attempting to cover all the properties in one volume. Current images by photographer Bruce Nelson and others are accompanied by older images collected from the archives of the historical society and others donated in part by the VDHR. When completed, the series will highlight about 45 historic homes and properties, with the fifth edition containing endnotes and references for the entire series. The Historic Homes and Properties of Mathews County, Virginia series, sponsored by Chesapeake Bank, is being published by The Donning Company. You are cordially invited to begin our tour of the unique and fascinating homes and properties that populate our county with the first and second editions, and anticipate continuing the tour in the third edition. 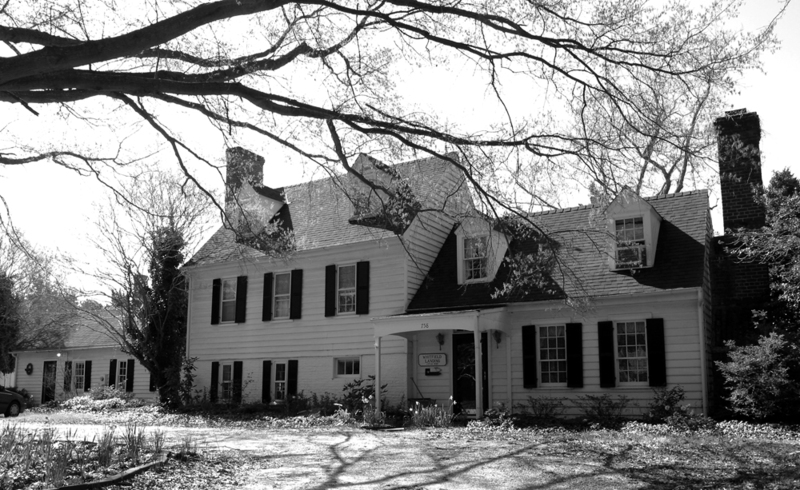 Whitfield Landing (formerly Jesse Hudgins House) – circa 1800. 40 pages, 32 photographs. Softcover, 40 pp. $11.95 + $.61 Sales Tax for VA residents. Available at the Mathews County Visitor and Information Center. 40 pages, 44 photographs. Softcover, 40 pp. $11.95 + $.61 Sales Tax for VA residents. Available at the Mathews County Visitor and Information Center.